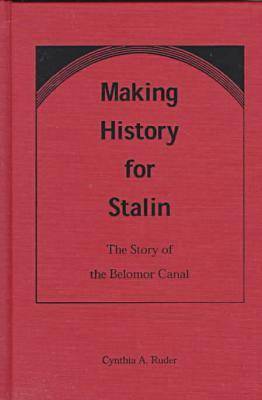 The Belomor Canal, exalted in the 1930s by the Stalinist press, came to symbolize what was morally deplorable in Stalinism. The author reconstructs the Canal project as a pivotal social, political, historical and, most important, literary event. Built with forced labour, the Belomor project has been a forbidden topic for half a century. With access to opened archives and to interviews with Canal construction survivors themselves, Ruder examines the project and its attendant literary works - drama, poetry, novels and the collectively written ""History of the Construction of the Stalin White Sea-Baltic Canal"" - to create an understanding of Stalinist culture. She argues that the project was the first to institutionalize the philosophy of ""perekovka"", the idea that a new people who personify the Soviet Union in action and deed could be created through forced labour and ideological re-education. As both a construction project and a literary event, Belomor was characterized by contradictions: enthusiasm versus revulsion, good will versus cynicism, self-destruction versus self-preservation, and scorn for the West versus a desperate hunger to impress it. Ruder shows that these juxtapositions capture the tension that infused many other events at the time, turning Belomor into a microcosm of life and literature in Soviet Russia.